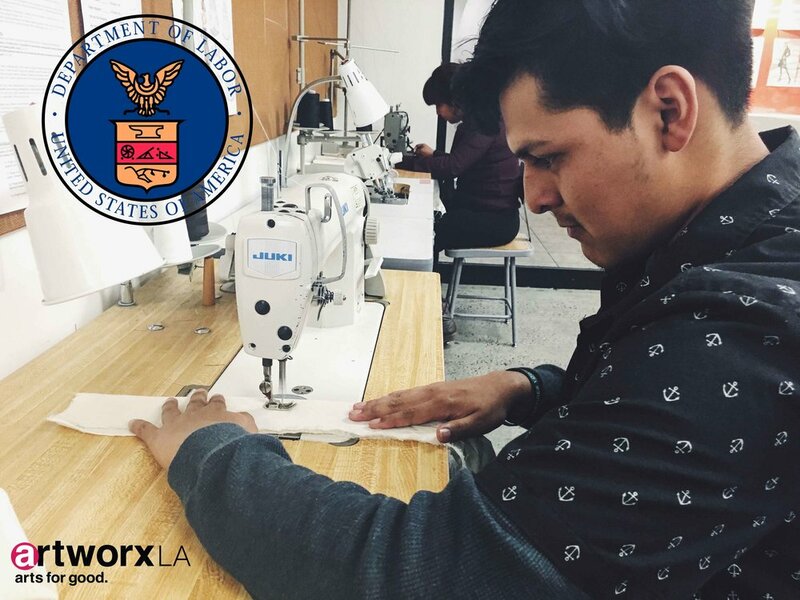 artworxLA has been named a recipient of a $550,000 multi-year grant from the Department of Labor / Employment and Training Administration, to create employment and post-secondary education opportunities for at-risk youth across LA County. 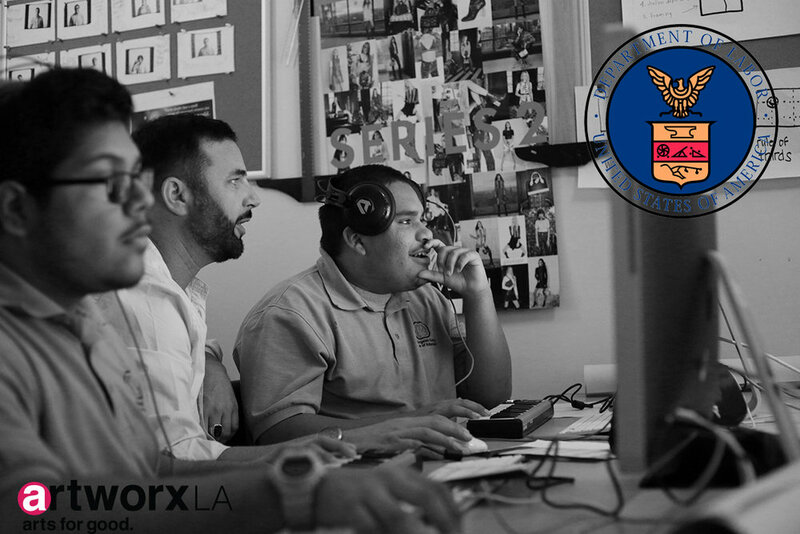 artworxLA is one of six national sub-grantees - the only one in Los Angeles - for the grant awarded to the Latino Coalition for Community Leadership. 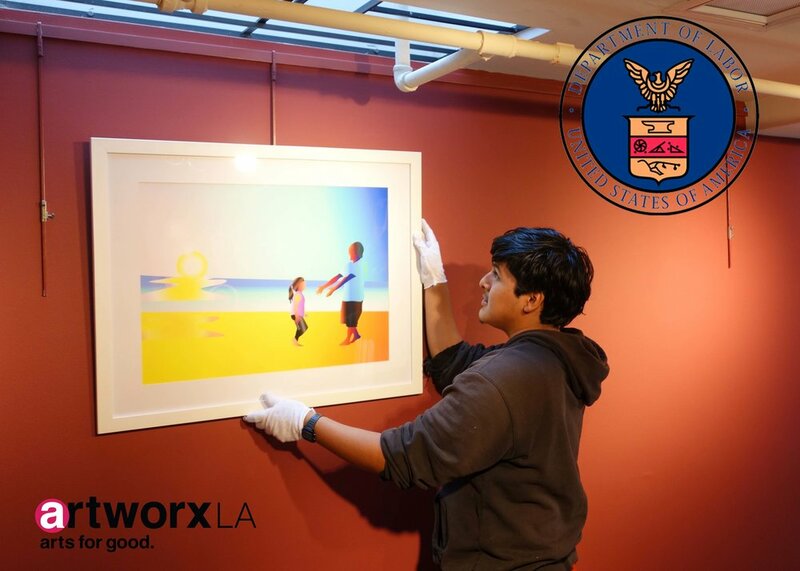 Over a period of 3 years, artworxLA's innovative arts programs will reach 80-100 18-24 year olds who have been involved in the juvenile or adult justice system and reside in high-poverty, high-crime communities. 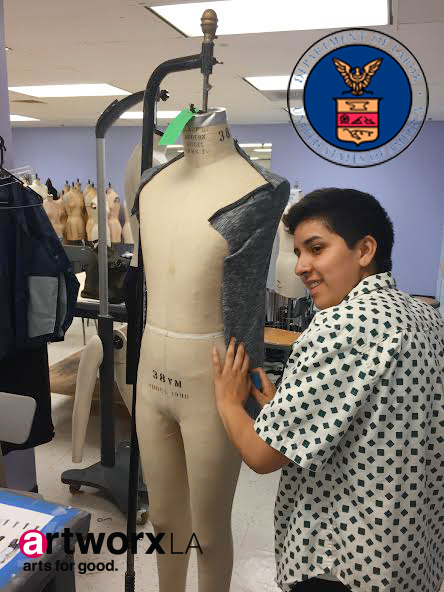 This project is an Equal Opportunity Program partially funded by the US Department of Labor Employment and Training Administration. Thank you Department of Labor for recognizing the power of the arts to engage youth! Newer PostSummer Teaching Artist Training is Complete!